Olympia 70mm Heavy Karate Medals. 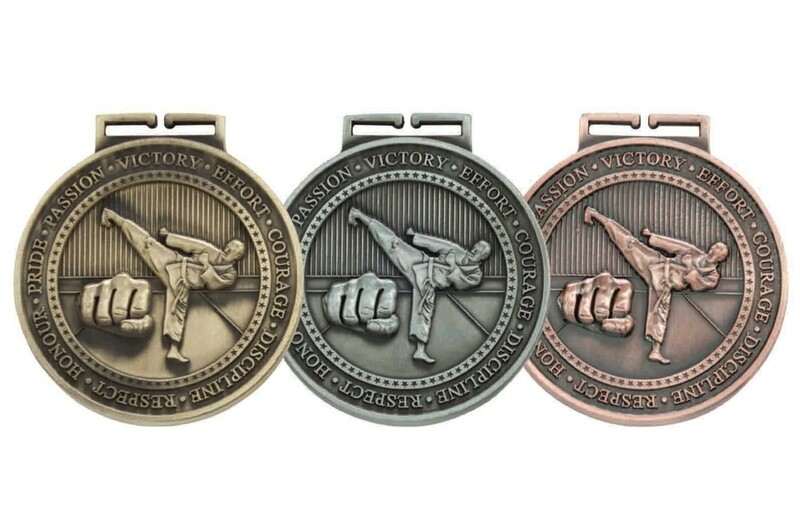 The medal comes in 3 colours, Bronze, Silver or Gold. It is made from Premium Zinc Alloy and is 6mm thick. The medals are decorated with the words: VICTORY, EFFORT, COURAGE, DISCIPLINE, RESPECT, HONOUR, PRIDE, PASSION. The medals come complete with a continuous loop ribbon available in 5 colours, red/white/blue, red, green, white or blue.